When iconic English designer Anya Hindmarch created a candle collection (complete with her signature streak of fun) we just knew it belonged in our Hall of Fame… Her exquisite candles are crafted from the finest raw ingredients and hand-poured in England – but it’s the scents that truly intrigued us. Inspired by early mornings and the reassuring scent of freshly brewed coffee, this 'Coffee' edition blends notes of cardamom from India, vetiver, patchouli, Virginian cedar wood, tonka bean and frankincense to create a dark, woody scent. 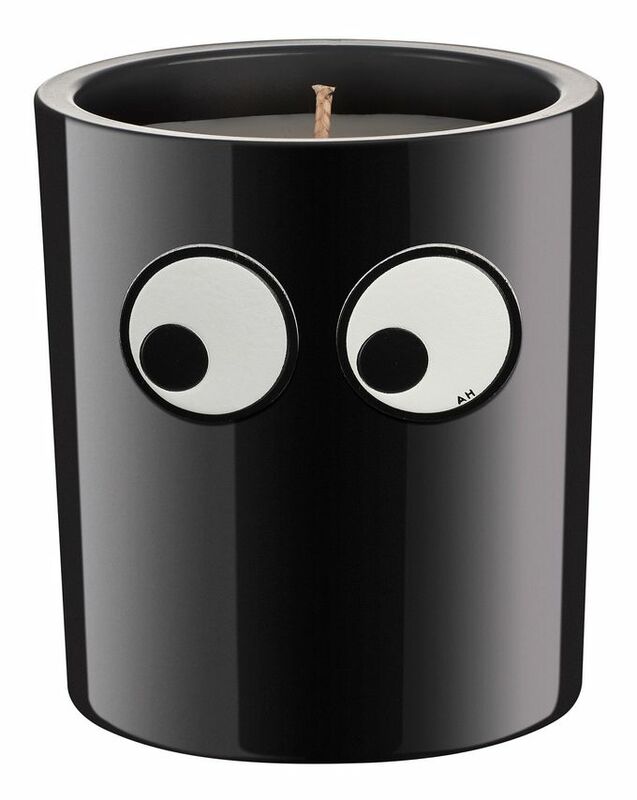 As well as the surprisingly sublime scent, the heavy glass jar and chic acrylic eye stickers will mark you out as a curator of cool. 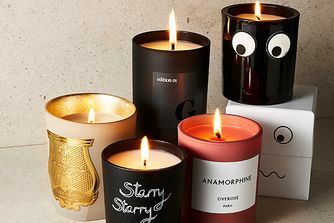 Known for her chic accessories and signature streak of fun, iconic English designer Anya Hindmarch has extended her creative eye (and olfactory talents) to an ultra-covetable candle collection – and we’re very happy about that indeed. Her exquisite candles are crafted from the finest raw ingredients and hand-poured in England – but it’s the scents that truly intrigued us. Recreating the everyday in an extraordinary way, the candles are based around surprising – yet sublime – scents that evoke happy memories for Anya. This one is an homage to ‘Coffee’, inspired by early mornings and the reassuring scent of freshly brewed coffee filling the air. Blending notes of galbanum from Iran, cardamom from India, vetiver, patchouli, Virginian cedar wood, tonka bean, frankincense and amber – with undertones of birdsong and patiently waiting taxis – it exudes a dark, woody fragrance. 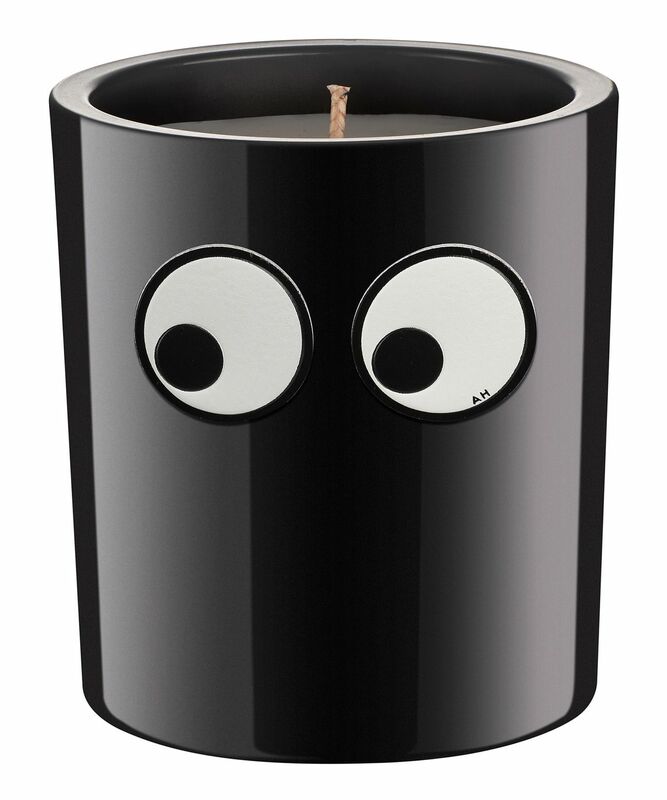 Presented in a beautiful heavy black glass jar embossed with super-cute acrylic eye stickers, this will not only fill your rooms with sublime scent, it will mark you out as a super-chic curator of cool. Smell is not that strong.